Free live young health A Little Menstrual Blood? This Might Be The Cause! A Little Menstrual Blood? This Might Be The Cause! Each woman's menstrual cycle is not always the same. Most women probably never experienced menstruation with little blood volume and for a short time. In medical science, this bit of menstruation is called hypomenorrhea. Little menstruation can be caused by heredity, age, lifestyle factors, hormonal imbalance, pregnancy or problems in pregnancy, and health conditions. 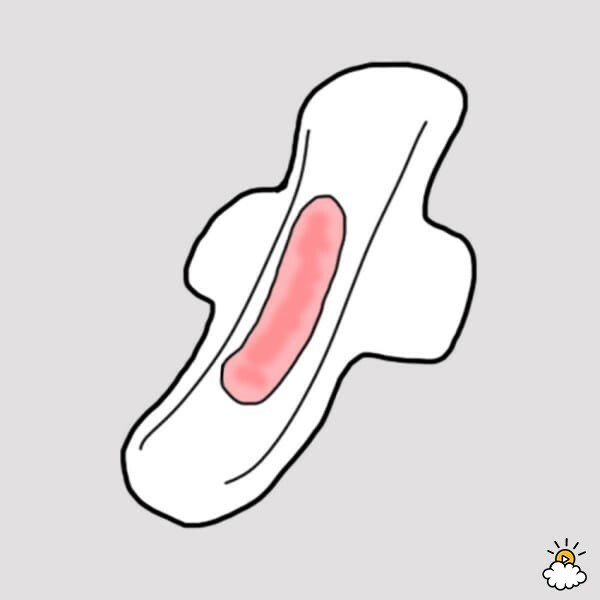 If you are experiencing menstruation a bit, try to ask Your mom or sister if they also experience it. Because of the possibility of hypomenorrhea is caused by hereditary factors. A slight, normal menstruation occur in teens who have just undergone puberty, and women who will be entering menopause. Hypomenorrhea is happening on both the condition caused by an imbalance of hormone levels that have a role in the menstrual cycle. Stress, decrease or a drastic weight gain, smoking, and excessive exercise can make the hormones out of balance and cause menstruation you do not like usual. If you use contraceptives, especially hormonal contraception such as birth control pills, injecting KB, or KB, you may be experiencing with menstrual blood volume and a little less time. This happens because the body prevents the hormonal release KB egg and lining of the uterus does not thicken. This common condition, especially if it is your first time using it. If you are currently undergoing to conceive, you should feel happy because this could be a little bleeding is a sign of pregnancy. A pregnancy test soon wears test pack or visit a doctor. However, this condition can also be a sign of danger on pregnant women. Out little amounts of blood accompanied by stomach cramps while pregnant can be a sign of early miscarriage. This condition occurs when the ovaries in cysts grow in size very small. PCOS sufferers may experience a little menstrual ovulation because the process is disrupted. This condition is characterized by the wall of the inside of the uterus (endometrium) inflamed and form scar tissue, thus reducing the volume of the cavity of the uterus. In addition to little menstrual disorders, this gynecologist is marked by the emergence of symptoms of cramping and abdominal pain, as well as infertility. Menstruation a bit caused by puberty, pregnancy, menopause, and does not require special treatment. If the lifestyle being the cause, it is advisable to change the pattern of your life, for example by avoiding stress, exercise, and reasonably adjust food intake with Sage. Read too: How to treat any wound (insect bites, Burns, sores scratch). Menstruation is a little due to birth control pills can be overcome by changing to another type of contraception, such as condoms or implant. Consult a doctor about birth control what fits you and their side effects. If you have a health condition like PCOS, thyroid disorders, or Asherman's syndrome, you can consult it to the doctor to get a proper handling. Title : A Little Menstrual Blood? This Might Be The Cause!